At Carworx Complete Car Care in Milford, OH, we take excellent car care to the next level. Whatever performance problems your vehicle is having, it’s comforting knowing that we can handle it. Our goal is to make sure you avoid all costly repairs and breakdowns. The key to carefree driving experiences and strong engine performance is preventative maintenance. We’ll design a consistent service plan that considers your vehicle’s age, your driving habits, and the manufacturer’s recommendations. Our ASE Certified technicians handle every maintenance service and repair with the same commitment to excellence. From the first day you bring your vehicle to our shop for services, your vehicle’s on a path to optimal performance. With quality oil changes, tune-ups, lube services, engine diagnostics, wheel alignments, and more, we make sure you stay on that path. Our goal is to avoid all expensive repairs but occasionally a repair need will come out of nowhere. We can handle whatever it is. With our extensive training, you can trust us to provide complete auto repair services. It all starts with an accurate diagnosis using state-of-the-art equipment. When you can trust the diagnosis, you can trust the repair. You can AVOID spending money on unnecessary repairs by coming to us first. We got your vehicle covered from bumper to bumper, handling any engine repairs, brake repairs, steering and suspension, A/C, electrical systems, exhaust systems, and more. Our specialties are the most complex transmission repairs. We have technicians with Master Level certification for all transmission services. 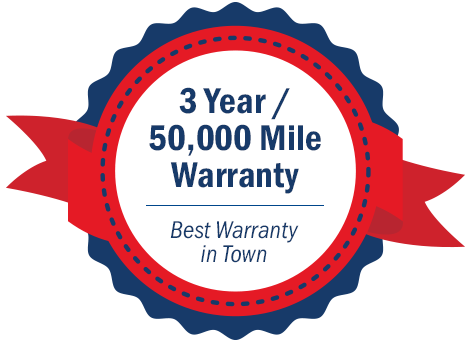 Our expertise is backed by an industry-leading warranty of 3 years / 50,000 miles. As soon as you notice trouble, let us know. The sooner you come to our specialists the faster we’ll have you back to safe road travel. Milford drivers who know the importance of quality auto services come to the experts at Carworx Complete Car Care. As our name suggests, you will receive thorough and comprehensive auto services. Let us be your automatic answer for any auto care concern. Your mind should be on your next destination, not on whether your car can make it there or not. We’ll handle that thought for you. Give us a call today at 513-831-9600 to schedule your next auto service appointment. Save yourself some time by using our convenient online scheduling system. Pick a day and time that works for you and we’ll meet you here. Next time you’re in the area, feel free to stop by and say hi! We gladly welcome all of our walk-ins!